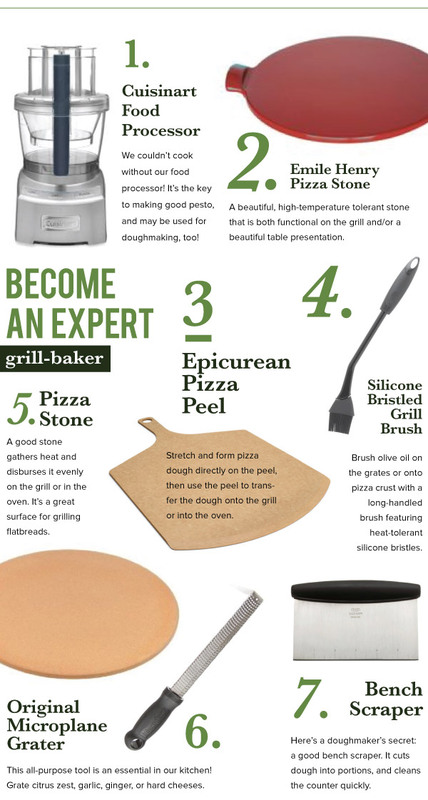 It's the middle of grilling season, you've mastered the burger and steak, and perhaps some slow-smoked ribs. 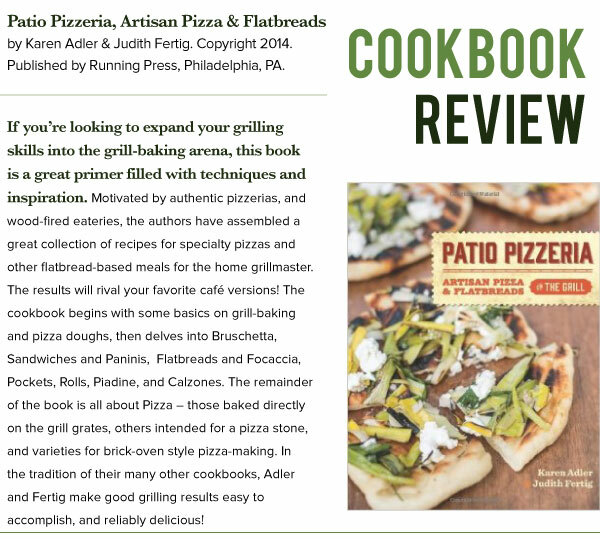 Now it's time to expand your outdoor cooking skills with grill-baking techniques that produce the best pizzas and flatbreads! 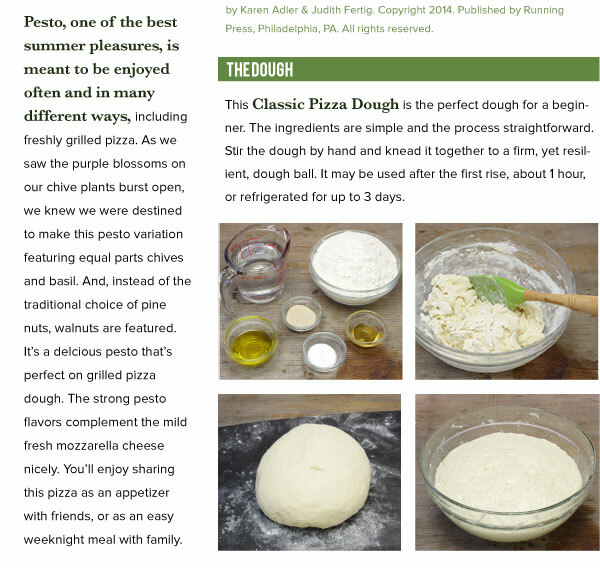 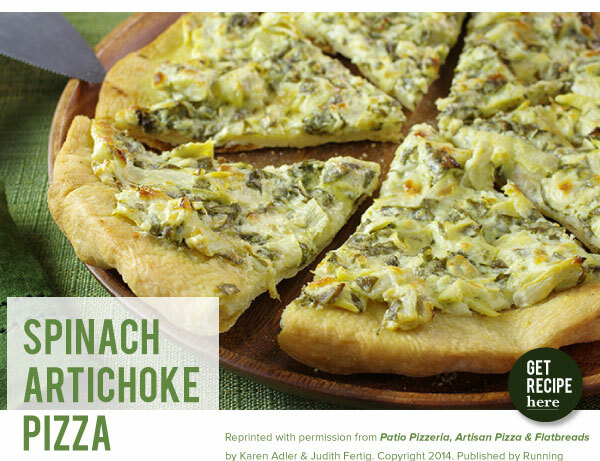 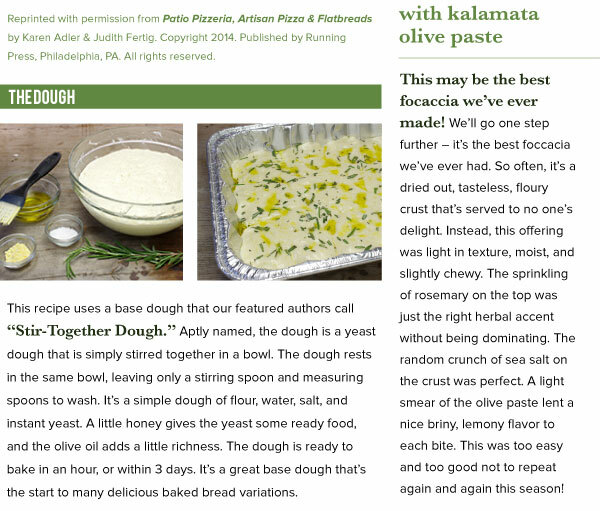 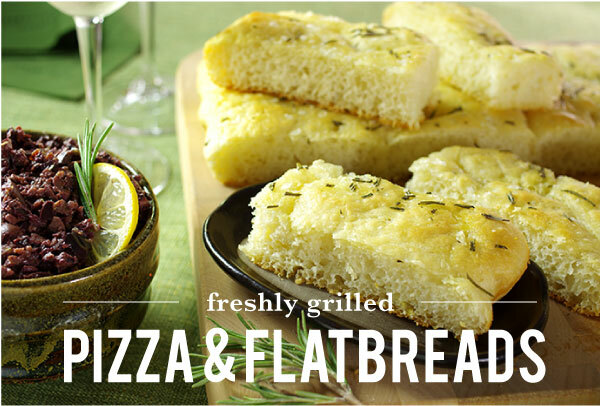 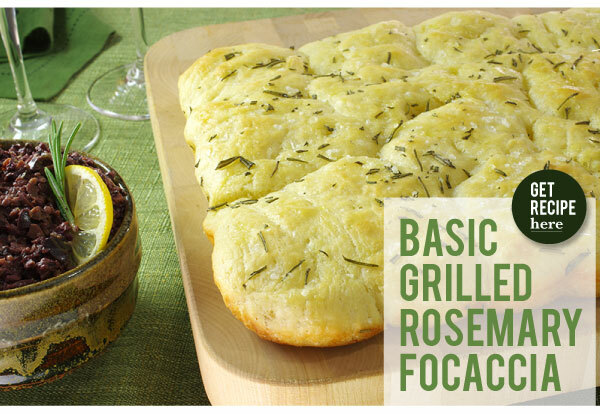 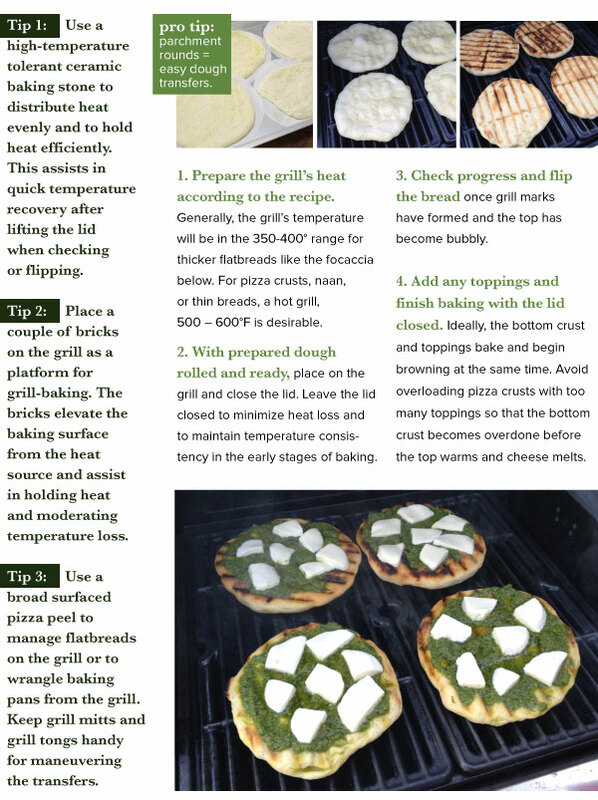 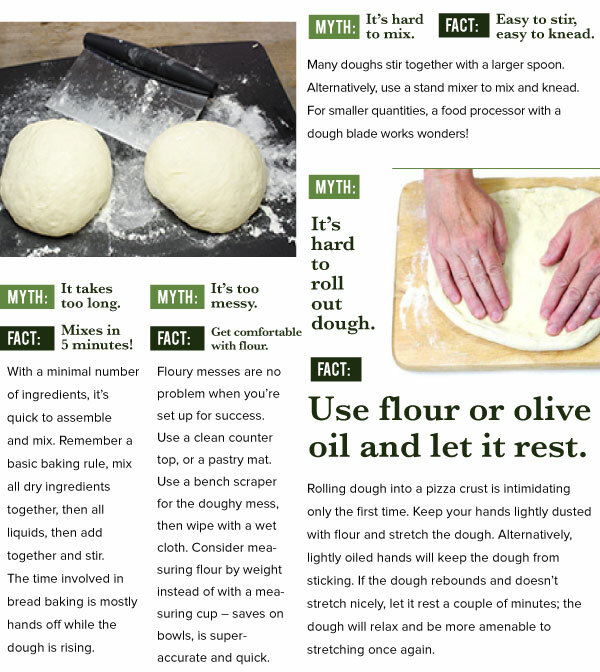 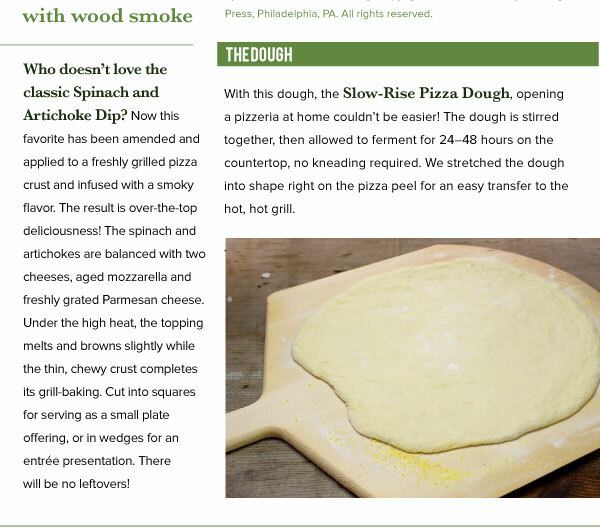 IN THIS ISSUE, we're taking advantage of the outdoor grill's hotter temperatures and making a delicious flatbread, Basic Grilled Rosemary Focaccia with Kalamata Olive Paste, and two grilled pizzas, Mozzarella and Chive-Basil Pesto Pizza, and Spinach Artichoke Pizza with Wood Smoke. 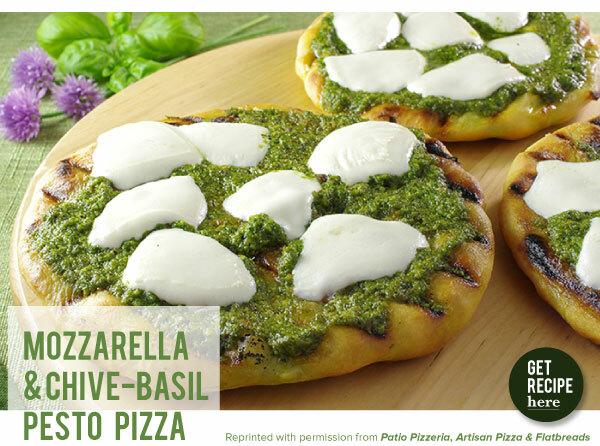 Your patio just became the best pizzeria in the neighborhood!